We appreciate your interest in including the Nantucket Land Council in your estate plans. If you notify us of your plans, we would be honored to include you in our Legacy Circle, either as a named or anonymous member. 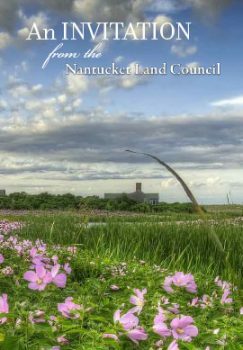 If you have already included the Nantucket Land Council in your estate plans, thank you! Please let us know, so that you can enjoy the benefits of being a member of our Legacy Circle, including invitations to special events. By including the nonprofit Nantucket Land Council in your estate plans, you are leaving a legacy and making a statement about what has been important in your life. Your gift will provide a source of continuing support for environmental action on Nantucket. There are a variety of ways you can make a gift. The NLC has provided sample language for various forms of bequests. However, these are just suggestions. We encourage you to consult your attorney and financial advisors to make certain that your gift fits well into your overall circumstances and planning. If you’d like to discuss any of these options please contact Development Director Meg McNeely Browers. Bequests are the most common type of planned gifts. They are easy to arrange and the bequest remains in your control. You can change your mind at any time, and you can structure the bequest to leave an amount, a specific item, or a percentage of your estate to the Nantucket Land Council. Your bequest is entitled to an estate tax charitable deduction for the gift’s full value. I hereby give and bequeath to the Nantucket Land Council, Inc. (Federal Tax I.D. No. 51-0180597) the sum of __________________ Dollars ($__________), to be used for its general purposes. I hereby give and bequeath to the Nantucket Land Council, Inc. (Federal Tax I.D. No. 51-0180597) ____ (#) shares of __________ (type of securities), to be held or sold for its general purposes. I hereby give and devise all of my right, title and interest in the real property located at _____________________________________ (street), ___________________ (town), ___________ (state), to the Nantucket Land Council, Inc. (Federal Tax I.D. No. 51-0180597), to be used or sold for its general purposes. I hereby give, devise and bequeath to the Nantucket Land Council, Inc. (Federal Tax I.D. No. 51-0180597) ____% of the rest, residue or remainder of my estate, to be used for its general purposes.